Dreams are as commonplace as breathing, but as elusive as the air. Although practically everyone dreams on a nightly basis, very few people remember or understand their dreams. Looking at paintings from the Renaissance, it is perceivable that the interpretation of dreams predates Freud. Many paintings portray people currently sleeping, suddenly waking up or being woken up, or dreaming. The current exhibition at the Musee du Luxembourg focuses on the little discussed aspect of sleep and dreams in the art of the Renaissance. Painters such as Veronese and Hieronymus Bosch depicted their subjects’ dreams in several of their paintings. But while Veronese used dreaming as a state to reach religious clarity, Hieronymus instead depicted gruesome, nightmarish images that could make any person voluntarily become an insomniac. 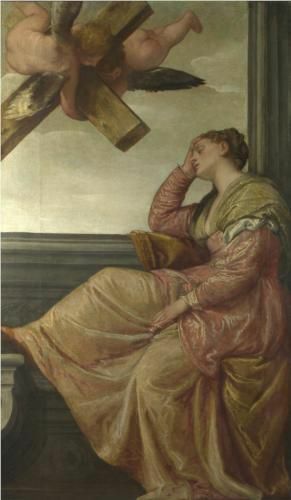 Veronese, The Dream of Saint Helena, c. 1570. Oil on canvas, 197.5 x 115.6 cm. Oil on panel, 131.5 x 119. Museo Nacional de Arte Antiga, Lisbon. The juxtaposition of Veronese’s and Bosch’s works conveys the versatility of dreams themselves. One minute, the dream is peaceful and beautiful, and the next, your mind is plagued with horrific images. Based on the quantity of paintings depicting dream sequences, one can surmise that dreams were equally as important to Renaissance painters as to Freud. But perhaps living in a post-Freud society, I give the interpretation dreams and sleep too much credit. Perhaps models of the Renaissance era were just lazy and fell asleep half way through their sessions. 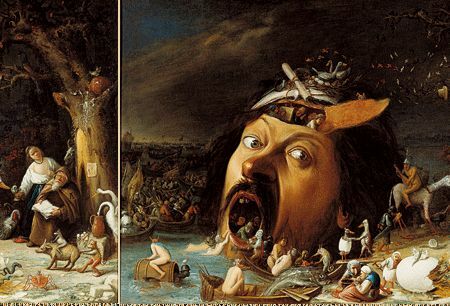 For an interesting view on the presentation of dreams, look no further than the Musee du Luxembourg’s exhibition The Renaissance and Dream running until 26 January 2014. Or snag a copy of Renaissance Art by Victoria Charles, available through Parkstone International. A Dream Deferred–interesting title. Especially for all the people who dream of being paid for their work. Sound familiar, Parkstone people?